1914 Harley Model 10-A: 35 cubic inch F-head single with belt drive. Retailed for $200 and sold 315 machines. 1914 Harley Model 10-B: 35 cubic inch F-head single with chain drive. Retailed for $210 and sold 2,034 machines. 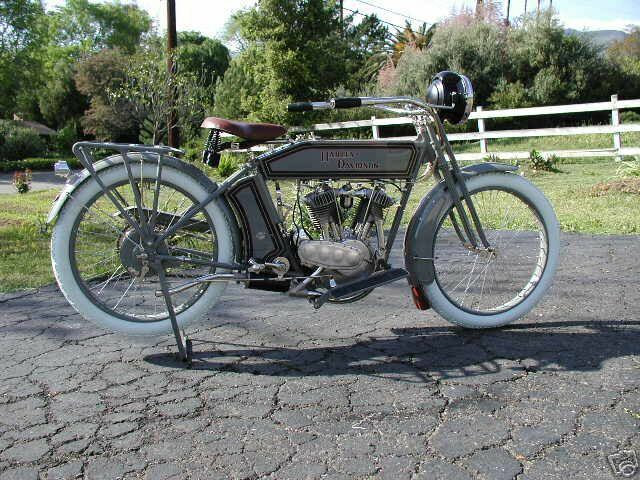 1914 Harley Model 10-C: 35 cubic inch F-head single with chain drive and two speed rear hub. Retailed for $245 and sold 877 machines. 1914 Harley Model 10-F: 61 cubic inch F-head Twin with chain drive and two speed rear hub. Retailed for $285 and sold 7,956 machines. 1914 Harley Model 10-G: Delivery Van: 61 cubic inch F-head V-twin with two-speed rear hub. Price is not known and sold 171. 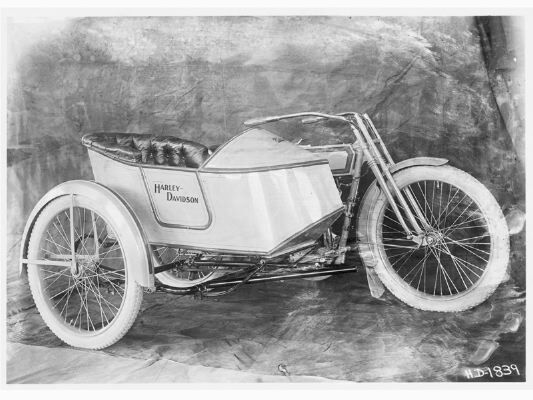 By 1914 practically all motorcycles on the US racing circuits were Harley-Davidsons as they were capable of beating every other brand of motorcycle on the market. 1914 Harley Single Racer on The Street?